All you have to do is give me (my company) your money and I’ll give you a digital receipt saying that you “own” a certain amount of gold. 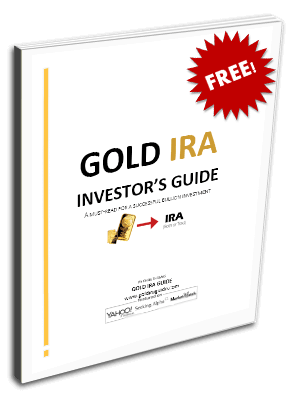 My company will charge you a small, nominal fee to manage your gold for you, amounting to just .4% per year. Now then, the digital receipt we give you doesn’t really match up with any specifically numbered gold bars. It’s more of a general claim on a certain amount of gold. Who Holds the Gold and Where is It? What? You want to be able to take physical possession of the gold if you choose? We can’t do that. Or rather, we’d prefer not to do that. After all, your gold won’t actually be in the United States anyway. We actually hold it for you in London. Well it’s not actually my company that holds it – we’re outsourcing that to a Custodian, HSBC. Now, I don’t want you to be alarmed, but you may hear something about allegations that HSBC has been laundering money for drug dealers and terrorists for many years. They were also accused of lying to and defrauding investors in a separate investigation. It’s not that big of a deal. They never really admitted to any of that anyway. Our Custodian may not even have your gold anyway — sometimes it might be someone else that holds it for you, it all depends. In fact, at times our HSBC may entrust their business associates (Subcustodians) to hold your gold on a handshake deal. But don’t worry though – whomever has your gold, you can be sure it’s in good hands. They’re all good people, don’t worry about that. I should also tell you that we’ve outsourced the day-to-day tasks of calculating the value of your certificate to a Trustee. Our Trustee also monitors our Custodian, which should give you an extra level of comfort. The fact that our Trustee was funneling money to Bernie Madoff’s Ponzi scheme shouldn’t be anything to worry about. It was never really proven that they knew Bernie was running a scam. We’re selling these certificates of gold ownership to a lot of people, and at some point the total amount of paper receipts might exceed the amount of physical gold. In other words, it’s possible that we don’t have enough gold to cover your investment. This stuff is hard to keep track of, you know what I mean? But that probably won’t happen anyway. In fact, you won’t really know if it ever happens since we never have our gold audited anyway. It’s not that we don’t want to — stuff costs money and you don’t want to pay higher fees do you? “What happens when you want your gold?” you ask. Well, as I mentioned we don’t ever let people redeem their claims for gold. So how do you get your money back? I’m glad you asked… You simply need someone else to buy your claim from you. Don’t worry though – there are always other suckers. I mean buyers. Yes, Buyers. If there weren’t any buyers on a given day I suppose the value of your paper certificate could decouple from the real price of gold. But that’s never going to happen. One more “little” thing I should tell you about – If our Custodian becomes insolvent, your gold could be used to pay their debts. But again, don’t worry. Even though our Custodian was leveraged 21 times against their capital, they were assisted (covertly) by the Federal Reserve with a $3.5 Billion bailout in order to stay afloat. But they should be OK from here. I swear. Isn’t it time you bought the real thing? Stop taking excessive risks in gold derivatives. If you’ve ever held real gold in your hand, you know that it just feels like money. You can get more information about buying gold below.